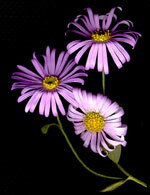 Mary (Halstead) Allen-Paul, aged 87, of Grandville, passed away on Sunday, October 25, 2009. She was preceded in death by her husband of 50 years, Harold Allen; granddaughter, Stephanie Hunting; brothers, Thad (Ruth) Halstead, John (Stella) Halstead, Claude "Bud" (Arlene) Halstead; sisters, Elizabeth Halstead, and June (Frank) Gauthier. She will be lovingly remembered by her husband of eight years, Virgil Paul; her children, Lynne (Wayne) Wright, Penny (Dennis) Gillissen, David (Lisa) Allen-Johnson, Barry (Kathy) Allen; grandchildren, Heather Lawrence, Holly Wright, Mark (Chris) Gillissen, Michael Gillissen, Alyssa (Mark) Chiaverini, David and Nick Allen; several great-grandchildren; four step-children; sister-in-law, Arlene Halstead; many nieces and nephews. Funeral services will be held Friday 11:00 a.m. with Pastor Dennis Gilbert officiating. Interment Chapel Hill Memorial Gardens. Those who wish may make memorial contributions to Spectrum Health Hospice.